The 2017 Masters champion has been disqualified from the Saudi International due to his short-tempered display seen in the second round. The world number 27 was frustrated with the lie of his ball after he’d landed in the bunker on the fourth. After failing to clear the bunker with his next shot Garcia clearly felt the sand was not properly raked and took his frustration out on the course. As Garcia’s round stuttered and seemed to lose his conviction and concentration, Dustin Johnson’s went from strength to strength. 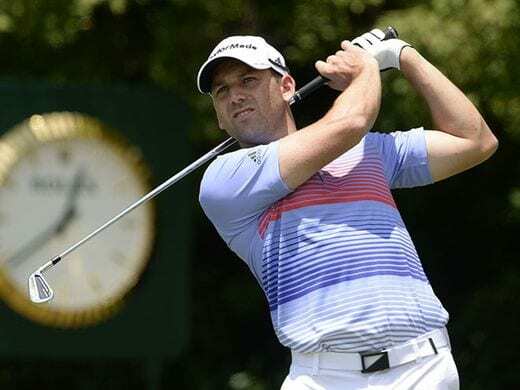 It was the American’s second round of 9 under that propelled him to his first tour win of 2019. The 2016 U.S. Open champion will be hoping to add to his one major victory in the coming year. It was a tour to remember for Welwyn Garden City’s own Tom Lewis. After a rather disappointing first round of 71, Lewis managed to finish the tournament 16 under par, placing him 3rd in the opening European Tour of 2019. The evergreen Ian Poulter left Abu Dhabi tied 6th, he must be wondering when his first major championship win will arrive, if ever. It is not uncommon knowledge that while playing golf “players are expected to play in the spirit of the game by acting with integrity, showing consideration to others and taking good care of the course,” as stated in the rulebook. Garcia will be looking to make amends in the next stop of the European Tour. Mexico City will host some of the world’s top golfers between February 21st and 24th. The key dates to look out for in 2019 are as follows; April 11th—Masters, May 16th—PGA Championship, June 13th—U.S. Open, July 18th—British Open.